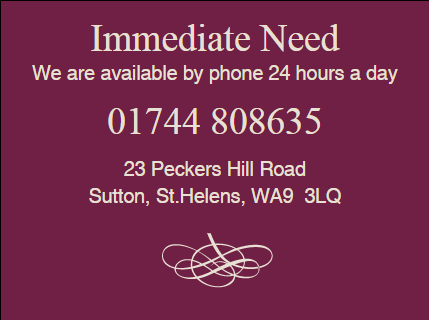 based in Sutton, St Helens. The loss of a loved one is something we will all face in our lives. It is a difficult time and arranging the funeral can seem daunting and frightening but at Garvey & Young we will support you every step of the way. Long after the service is complete we will continue to support you for as long as we are needed. Our costs are transparent from the start and we know we will go beyond your expectations with price and quality. Each funeral is as unique as the life it celebrates and at Garvey & Young we listen, empathise and offer a compassionate response which reflects the thoughts, feelings and needs that have been expressed to us.